Quick Answer: To fully comprehend Agents of S.H.I.E.L.D., you should probably watch all of the Marvel movies starting with Iron Man in 2008. But if you have limited time, you should at least watch Iron Man, Iron Man 2, Thor, Captain America: The First Avenger, The Avengers, Iron Man 3, Captain America: Winter Solider, and Captain America: Civil War. Be sure to also watch two of the Marvel One-Shots, the short films that are extras on the Marvel DVDs: The Consultant (on the Thor DVD) and A Funny Thing Happened on the Way to Thor’s Hammer (on the Captain America DVD), both of which feature Agent Coulson. The truth is, while Marvel’s Agents of S.H.I.E.L.D. (2013 - ) takes place in the same universe as other Marvel television shows and movies, you don’t need to watch anything before seeing S.H.I.E.L.D. The show provides the viewers with whatever information is necessary to understand the show’s place in the franchise while keeping the show a stand-alone item. And like it or not, Marvel’s universe is now spilling over into our own. 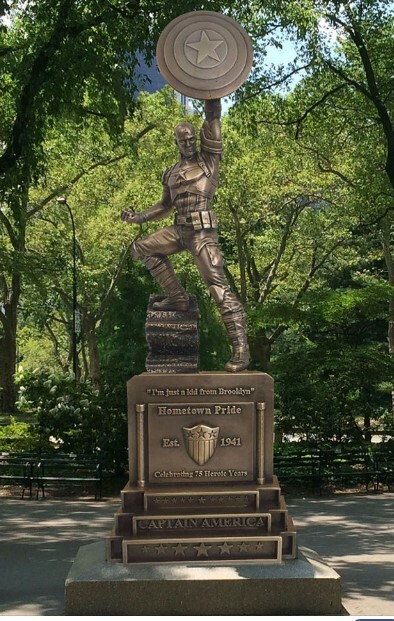 In fact, a life-sized statue of Captain America (based on the character from the films, not the comics) was unveiled at the 2016 San Diego Comic-Con and is being erected in Brooklyn, N.Y. later this year. Even if you’ve never seen a Marvel movie or read a comic book, odds are you at least recognize many of the characters and know what they’re all about (spoiler alert: Spider-Man is a man with spider powers). So, now that we’ve established that you likely don’t have to watch any of the movies before watching S.H.I.E.L.D., which movies should you watch? S.H.I.E.L.D. often references events from the larger Marvel Cinematic Universe (MCU). Certain films help you understand these events, and therefore better understand the motivations of characters in the show. Naturally, fully explaining why you should watch a movie and how it informs the show would be a list of major spoilers for both the movies and S.H.I.E.L.D., so instead here’s a guide for which movies to see to better understand certain events in S.H.I.E.L.D., without spoiling anything in the MCU. Who is Phil Coulson? And what is S.H.I.E.L.D.? Phil Coulson (Clark Gregg) is an agent of S.H.I.E.L.D., a counterterrorism agency focused on the strange and unexplainable (think Torchwood (2006 - 2011) in the U.S.). 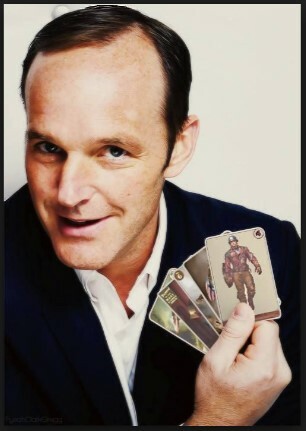 Coulson and S.H.I.E.L.D. are first introduced in Iron Man, and play a big part in Iron Man 2 and Thor. If you want to get to know Coulson even better, watch Captain America: The First Avenger; while Coulson isn’t in the movie, Cap is Coulson’s all-time favorite superhero. What is up with Coulson? If you’ve been watching S.H.I.E.L.D. without seeing any of the movies, you’re probably wondering what is going on with Coulson. He keeps telling people that Tahiti is a magical place. He has some kind of weird deal with blue stuff. He’s making strange carvings. In order to fully understand his erratic behavior, you should watch The Avengers. Of course, to understand The Avengers you should really watch Thor first, since the plots of the two films are so closely tied. What is the Battle of New York? Everyone in Season 1 of Agents of S.H.I.E.L.D. is super on-edge after the events of the “Battle of New York.” What battle, you say? The one fought in The Avengers. Simply put, the Earth learned a little about the sorts of people – both good and bad – who are already on the planet and who might come from elsewhere. In the pilot episode Coulson identifies something as “Extremis” and says that it’s new. But since he knows what it is, it must have come up in a Marvel movie, right? Yes – and to see it you should watch Iron Man 3, although to be fair it isn’t strictly necessary for understanding the episode; there really isn’t much more to Extremis than what Coulson and the team discuss during the on the show. What happened to S.H.I.E.L.D.’s headquarters? In Season 2 the agency has gone through a shake-up. New people are in charge, and the agents have a new headquarters. What happened to the old S.H.I.E.L.D.? 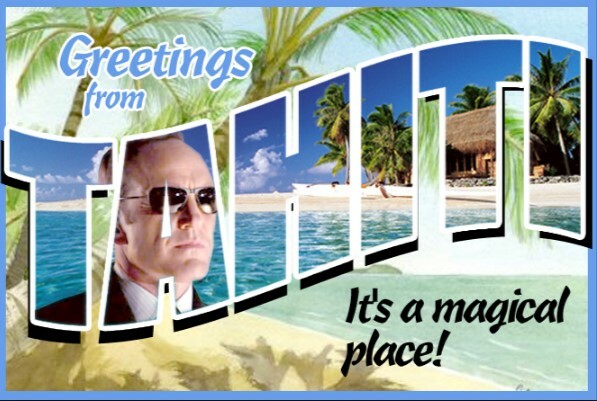 And why is Coulson so hesitant to tell people anything about the new digs? The answers to all of these questions can be found in Captain America: Winter Soldier, and watching it will explain away all of Coulson’s cageyness. What are the Sokovia Accords? In “Emancipation” (Season 3, Episode 20) the Sokovia Accords are mentioned on the news in regards to a difference of opinion between Tony Stark (Robert Downey Jr.) and Steve Rogers (Chris Evans). Coulson later discusses The Accords with May (Ming-Na Wen) and General Talbot (Adrian Pasdar). 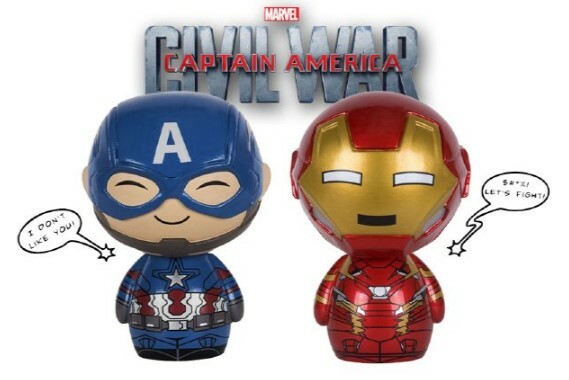 The Accords and the “feud” occur in Captain America: Civil War. The movie will also likely affect Season 4, so watching it now will bring you up-to-speed for the next season. In short, to fully comprehend Agents of S.H.I.E.L.D., you should probably watch all of the Marvel movies starting with Iron Man in 2009. But if you have limited time, you should at least watch Iron Man, Iron Man 2, Thor, The Consultant (the Marvel One-Shot short film on the Thor DVD), Captain America: The First Avenger, A Funny Thing Happened on the Way to Thor’s Hammer (the Marvel One-Shot short film on the Captain America DVD), The Avengers and Iron Man 3 before watching Season 1 of S.H.I.E.L.D. ; Captain America: Winter Solider before Seasons 2 through Season 3, Episode 19; and Captain America: Civil War before Season 3 episode 20.